Cooler bag – an indispensable thing for trips on the nature or in the export of frozen harvest from the garden. Thermos you can buy in the store, but quite easy to build it with their hands. In this case, you will be able to make it the size required for your needs. For the manufacture of the bag-the refrigerator with your hands you will find the useful tote or gym bag. It is desirable to use those models that have cover with zipper. Remove or cut they have internal dividers or pockets. As the basis for a homemade refrigerator you can even use a large plastic bucket. At the hardware store to purchase polyethylene foam, covered with foil on one or both sides. The insulation material used during the repair, positioning it behind the pipes so that the heat reflected into the room. It is sold by the meter, so first remove the dimensions with the prepared bags. Make pattern liner for bag on paper. You can use a piece of old Wallpaper or newspaper sheets. Measure the height of the walls of the bag, its length and width. Put these dimensions on paper. The pattern obtained in the form of a cross, where the Central square or a rectangle is the bottom of the bag. Separately cutting the lid. Try the resulting layout to the bag, if necessary, adjust the size. Now you know how much foil of polyethylene foam you need to purchase. Assemble cut the liner for the bag. The foil should be inside the structure. All seams are doubly proclivity and accurately as possible with aluminum tape. Place it on the outside of liner and inside. Separately attach a cover made of polyethylene foam. It can be done, not cutting, once in the pattern, and then bend, but this heat insulator is badly bent. Easier to glue the lid separately. Paste the design into the prepared bag. If there is a need to give additional rigidity to the bottom and the walls of the bag, use a thin foam, lay it between the fabric and the insert. Also a pier you can put pieces of batting or wadding for improved insulation. Inside the bag put a big thick plastic bag into which you will load the products. If necessary it can be easily taken out and cleaned. Chilled or frozen food, wrap in newsprint before packing in a bag, so they last longer. When laying fresh fish, you can additionally lay it with fresh nettle to improve safety. As refrigerant use plastic bags for ice or heating pads. Put their products in a bag in the fridge. The cold accumulators may be small plastic bottles. Fill containers with water with dissolved sodium chloride. The solution should be saturated. Lay the prepared container in the freezer, and as needed use for a portable fridge. Isothermal bag, or bag-the refrigeratoris an indispensable assistant for people who prefer to lead an active lifestyle. It gives you the opportunity to store food in frozen, chilled or hot for up to 24 hours, maintaining a certain temperature. To ensure the specified characteristics of coolers made from materials that provide high thermal insulation performance. Thus, the cooler bag is an insulated container without the cooling device. It's light and soft. Insulation is provided by a double wall nylon with a polyethylene foam or polyurethane foam inside. Like all the other bags have handles for transporting or harness when in a backpack. Especially large models are equipped with wheels. 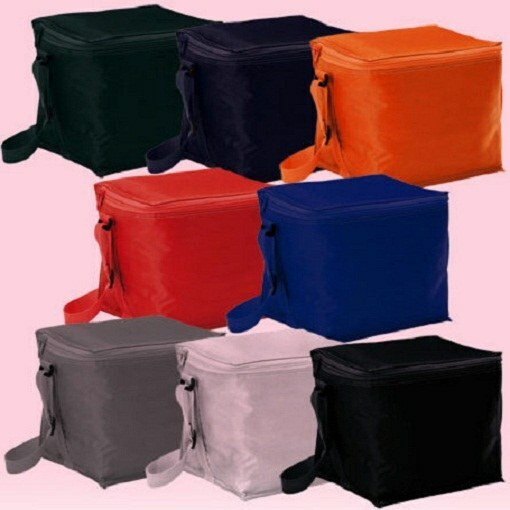 Most insulated bags are very compact and folds down to minimum size. Some manufacturers offer waterproof options waterproof or individual elements, such as pockets for documents and so on. cooler bag can be equipped with special compartments for bottles or storing extra camping equipment. In some cases, the kit bag contains a set of travel utensils. In addition to the various design, materials and packaging, cooler bags vary in the amount of storage space. The most common sizes are from two to fifty liters. If you want long-term storage of products in refrigerated or frozen condition, the bag additionally placed the battery is cold. This may be a special compartment (most often in the bag cover). If it is absent, the refrigerant is placed directly on the products. As the refrigerant for the thermal bag you can use dry ice or cold accumulators. The battery is a package or plastic container with a saline solution, which introduced a special additive. Using supplements is stored a certain temperature. To allow the cold battery into action, it before use place in the freezer. Minimum cooling time of seven hours. Cooler, thanks to its insulating properties, can be used as a normal thermos. It can keep foods hot from 12 to 24 hours. After that, the contents of the bag is cooled to ambient temperature. Depending on the materials used and method of temperature control, the mobile tank insulation is divided into three types: isothermal bags on fabric, thermo plastic housing, and refrigerators with thermoelectric converters, blowing cold or hot air.